We are working to understand the influnece of seasonal limitations and limiting factors on ungulate populations. Landscapes are being altered at increasing rates from both anthropogenic and natural causes. Growing human populations and increasing frequency of natural disturbances like wildfires produce fine to large-scale changes on the landscape. Such disturbances can alter habitat use and result in population-level consequences and thus challenges our ability to conserve and manage wildlife populations. 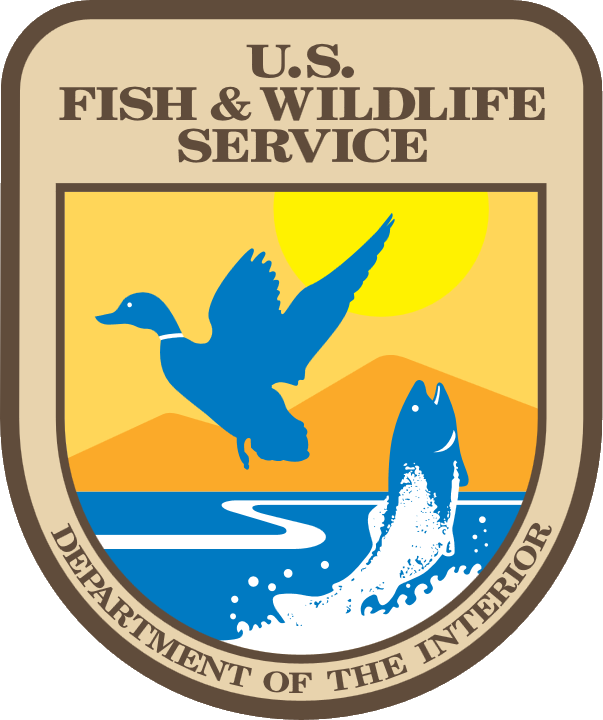 In collaboration with the Wyoming Game and Fish Department, Grand Teton National Park, and the US Forest Service, we are exploring the influence of large scale disturbance (i.e., wildfire) on a moose population in northwest Wyoming. Shiras moose (Alces alces shirasi) that inhabit areas within Grand Teton National Park and Bridger-Teton National Forest, have been experiencing a population decline for the last 16-22 years. Recent research has shown that these animals are highly migratory and that most moose wintering in the Buffalo Valley migrate north and summer in southern portions of Yellowstone National Park. By evaluating the condition and demography of captured moose, previous research that we conducted suggested that poor habitat quality is most likely limiting this population. Habitat quality has not been directly measured, however, and it is not known if summer or winter habitat is most limiting. Additionally, much of the summer range in the study area burned during the Yellowstone fires of 1988. Fire typically creates habitats favorable for moose, and is often followed by an increase in moose reproduction and density. However, moose in this study population have continued to decline despite an abundance of fires in the last 20 years. Thus, the influence of fire on Jackson moose population performance remains unclear. The growth of wolf and grizzly bear populations further complicates our understanding of moose population ecology in the region. We are evaluating moose habitat by characterizing browse condition, diet, and the nutritional quality of forage on both winter and summer ranges. 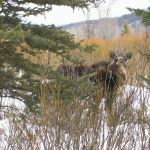 The overall objective of this study is to assess the condition and nutritional quality of forage at both times of the year and to connect these measures of seasonal habitat quality with the demographic performance of individual moose. We hope to provide a more mechanistic understanding of the effects of disturbance and seasonal habitat quality on moose demography and population growth and to clarify the role of habitat change in recent population declines.